Often referred to as Great Britain, the United Kingdom has become a major tourism hub for millions of visitors from around the world. The strong economy, huge thriving consumer markets, supermarket chains, shopping malls, retail outlets, fast food chains, business firms, legal firms, large number of boroughs and counties with London as the capital make UK an irresistible choice for students to study and work, besides attracting international visitors. Students find the UK a very comfortable place to live in. You can commute with so much ease. Take your pick from London’s famous Tube or Metro, the single-deck and double-decker buses, trains and ferries that transport you from one place to another in superb comfort at very affordable prices. The food and cuisine is truly international and students from every corner of the world find exactly what they want to eat. With a moderate temperature during a period of under two months in summer, the rest of the year is pleasant with cool winds prevailing from the Southwest over the North Atlantic. Skies are cloudy and everyday is almost overcast weather. The winter is really cold and witnesses some stints of heavy snowfall. 2. Why Study in UK? Every year in many countries, students continue to tick the United Kingdom as the Number One Choice for their studies. While the reasons are many and varied, it has to be seen in the special context of the traditional and historical role of UK being a pioneer in education for the whole world due to the vast influence of the erstwhile British Empire. Thus, the United Kingdom is second leading study destination for students. Historically too, with great institutions of excellence such as Oxford and Cambridge, the UK has remained a bastion for high standards of education instilled with a sense of discipline for nurturing future leaders. Employers the world over prefer candidates who are UK qualified. Another factor is the uniqueness of the courses that are designed to introduce many new innovative features to international students. Studying in the UK means that students are encouraged to be independent in their thinking, bring creativity to their learning and imbibe a high sense of individuality, self-expression and reliance. For international students, the UK job market is an irresistible attraction because it offers a diversity of jobs with excellent pay scales, fringe benefits and the choice of carving out a well-planned career pathway for lifelong success. Then there is the opportunity to settle down permanently as a Citizen of the United Kingdom based on certain categories. 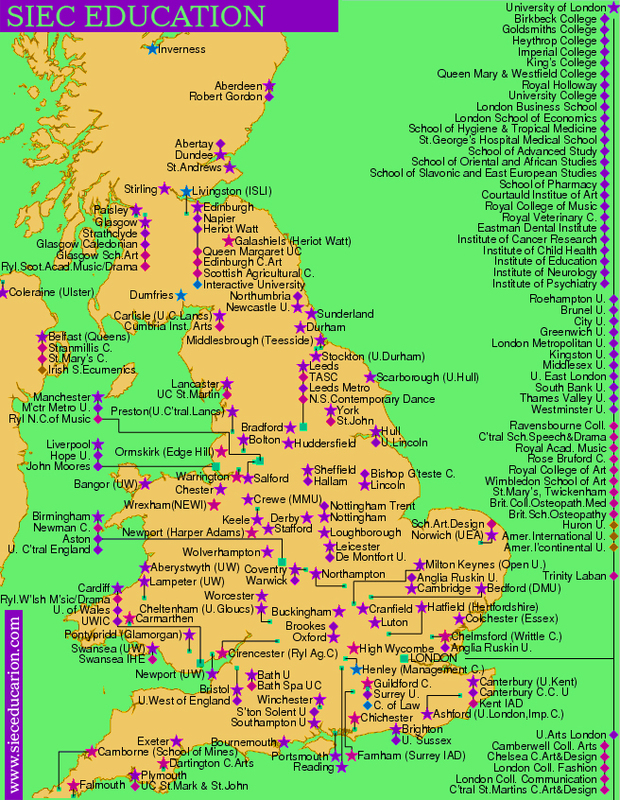 The UK System of Education consists of educational institutions such as Schools, Colleges, Universities, Open College, Open University, Colleges of Technology, Institutes and Teacher Training Colleges. Overall, the Alphabetical System of Grading is followed in UK Education. Apart from the Alphabetical Grading System, the Numerical System is also used for Grading in the UK. Postgraduate Certificates (PGCert) and Diplomas (PGDip), Master (MA; MSc), and Master of Business Administration (MBA). What are the Types of Research Degrees offered? A very carefully planned program blending periods of study and time to be spent in the concerned industry is known as a Sandwich Programme. Usually the time periods of course studies in such programmes extends to 4 years instead of the regular 3 years. The Tuition Fee varies from Subject to Subject and from Course to Course. Arts and Humanities is in the range of £ 8,000 to £ 12,000 per annum. Engineering and Science is in the range of £ 10,000 to £ 13,000 per annum. Business is in the range of £ 7,000 to £ 16,000 per annum. MBA is in the range of £ 7,000 to £ 25,000 per annum. Cost of Living expenses entirely depends on where you decide to live in London. If you live in places outside the limits of London, it will be affordable and if you live within the limits of London area it will be a bit expensive. The Costs work out to £ 7200 per annum for living in places outside London. The costs climb a bit higher at £ 9000 per annum for living inside London. UK offers a wide choice of accommodation for students. 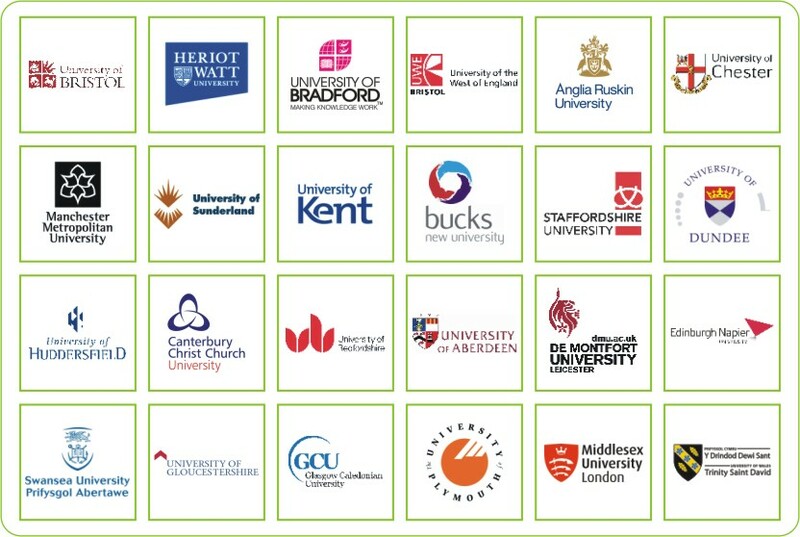 Besides the guaranteed accommodation to Undergraduate and Postgraduate Students being offered by Universities in Halls of Residence, there are many others choices such as On Campus (College Hostels that are either self-catered or fully-catered), Off-Campus (Renting a Flat or an Apartment) and the simple and easy to find Home-Stay (with Families living near the Student’s Institution of Study). Home-Stay is considered convenient because it saves students a lot of time, money and energy consumed commuting from one point to another. You should know that in general, the UK Government funds most of the Universities. But these funds are considered very limited and not quite proportionate to the huge number of Universities in the UK. Naturally, all funding is done through the UL public’s tax contribution to the Government, and there is enormous pressure on funding Universities. This leaves UK Universities with little funds to disburse among students in the form of bursaries and scholarships. So, you really have to be in the picture if you want to know how many scholarships are available to apply in time before other students avail the opportunity as competition is tough. Apart from these Scholarships and Awards, the Government of UK has sponsored the Chevening Commonwealth Scholarship and the DFID Scholarship. These Scholarships are designed to help students from Commonwealth Countries to pursue Higher Education in the UK. You should know that Advertisements are published in Pakistan’s leading newspapers announcing both these Scholarships which are very competitive as they are purely based on your Academic Grades, Age and Course of Study that you intend pursuing in the UK. The deadlines for filing your Application are set well before your Course of Study in the UK commences. Another way to save on your Tuition Fee expenses is to apply for certain Awards that most UK Universities give to only those students who have an impeccable academic record and have shown excellent grades. If you can really win such Awards on your Merit alone, go for it! You’ll just love life as a student in the UK. One of the most important aspects is your on-campus accommodation which is the best option as it saves you a lot of time. But the demand for on-campus accommodation is too high and you have to apply as early as possible to secure one. However, if you wish other types of accommodations, your UK University authorities will arrange suitable and budget-friendly accommodation in residence halls, privately owned flats and houses or home-stay with a UK family. Life on campus is an invigorating, hectic, exciting and fulfilling experience. Besides your regular classes and zero hour classes, there are many extracurricular activities. May be you get selected to perform in a theatre or go out to watch movies. Being a member of the various sports and departmental clubs in your College or University is a guarantee that you will be kept quite busy the whole year through as you pursue your terms of study. Regarding your health and well-being, you don’t have to worry at all. You’ll get access to the best health care at affordable costs, valid for you as well as for the dependants living with you in the UK. For availing free medical treatment, students can contact the National Health Service. Many of the city attractions in London and elsewhere are free for students, making students live a fun-filled life as they seriously pursue their studies. The best part is that you’ll be amazed at how things work in your favor as whatever you purchase right from your travel pass to groceries and more come with so much value for every penny or pound you spend. During vacations you’ll love visiting beautiful tourist attractions in London and across the UK. Besides you can visit around the British Isles and also take short trips into Europe. You have the opportunity to visit Paris, Stockholm, Frankfurt and many other cities in Europe you had always dreamt of visiting. The route to your UK Student Visa Application largely depends on which Course of Study and which College or University you intend to apply to in the UK. However, considering the Admissions Schedule the respective deadlines for submission of Applications have to be met under all circumstances. For Art and Design Courses of Study- 24th March of every year. For Oxford/Cambridge –15th October of every year. 1st Deadline – 15th Jan of every year. 2nd and Final Deadline – 30th June of every year. There are generally TWO Intakes in Australia – February and July of every year. Yet, very few Universities offer multiple intakes in September and November. Strongly Recommended: Make your applications 7-8 months prior to the intake deadlines. Universities generally take around 4-6 weeks to process your applications. If you wish to apply for a UK Student Visa you should file-in your application under the ‘UK Tier 4 – Students’ Category. Your application will be assessed under the NEW Points-Based System (PBS). Your Visa Application Form commonly also known as VAF is VAF 9 and the Visa Application Fee is £ 289/- currently. Account shall be in the name of the concerned student or in the form of a joint account (including name of the student applicant) in case a financial sponsor is involved in sponsoring the student. Effective 21st August 2009, funds can also be shown in the name of the student’s parents only, no siblings or grand parents, relatives sponsorship is acceptable. If funds shown are in the form of fixed deposits, the concerned bank shall issue a letter confirming availability of such funds held along with verifying that encashment can be done within the stipulated maximum period of 28 days. Such bank letters shall be signed by all appropriate parties to the agreement. In case bank’s sanction letter is subject to the issue of a visa, the UK Border Agency assumes that the student is likely to get the funds by the time the concerned student travels to UK. First year tuition fees + 9,000 Pounds (for a maximum period of nine month). First year tuition fees + 7,200 Pounds (for a maximum period of nine month). VAF 9 and Appendix 8 Form (Tier 4 – Student). One Passport size photo (45 x 35 mm Color, less than 6 months old). Receipt of Fee Payment (towards your Accommodation and Tuition in UK). Bank Statements – ORIGINAL for the last 28 days from ALL Sponsors. Transcripts (Mark sheets) (from 10th class till the last degree obtained). Affidavit of Support to be given by the Sponsor on appropriate ((PKR 20) stamp paper (non-judicial). Work experience certificate (if applicable). Fixed Deposit Receipts (if required). Bank Loan Sanction Letter (if required). Step 2: Submit all the required documents. Step 3: Our Consultant offers assistance with regard to other requirements such as selecting the most appropriate college/university and prepares and finalizes your Application. Step 5: Submission of documents for admission to chosen institutes. Step 8: Payment of tuition fee directly to institute as notified in offer letter or reapply to other university in case of being refused for admission. Step 12: Visa departure being successful in obtaining visa and our Consultant will give you expert advice and useful tips on travelling, studying, accommodation, assistance in getting overseas travel insurance, and settling down in the UK. Students can work up to 20 hours a week during their term time. They may work full time during vacations. Students can earn around £ 5 – £ 7 per hour i.e. approx £400 – £560 per month during term period. The local newspapers, job shops as well as the Universities and Colleges career cells are places to look out for Jobs. Students are however advised that they are not guaranteed part time employment by the University. If you are going to the UK as a student for six months or less, you must ask the Entry Clearance Officer’s for permission to work. PBS is a new system for managing migration of those wishing to enter the UK for work or for study. UKBA (UK Border Agency) introduced Tier 2 of point based system whereby a student who graduates from a UK university will be able to take graduate level job in the UK with the registered companies after paying a minimum of £ 20000 a year and work for 2 years. There is possibility of later extending it for 3 year more. The introduction of new visa for graduate entrepreneurs will allow students who have world class innovative ideas to migrate and settle down in the UK. There are approximately only 1000 places this year.